According to a report from UrbanBelleMag.com on Tuesday, May 21, there are a lot of changes taking place in the life of rising artist K Michelle. A fixture on VH1’s hit series “Love and Hip Hop Atlanta”, K Michelle is constantly one of the more vocal people on the series, as she is no stranger to being involved in nasty cat fights and back and forth drama. Still, some viewers may be disappointed to find out that K Michelle likely isn’t going to be returning for the third season of the series, as she instead may be joining the cast of the original “Love and Hip Hop New York”. During a recent sit-down with the Breakfast Club, K Michelle did open up on her love life, which includes the fact that she has been approached recently by former NFL wide receiver Chad Johnson. 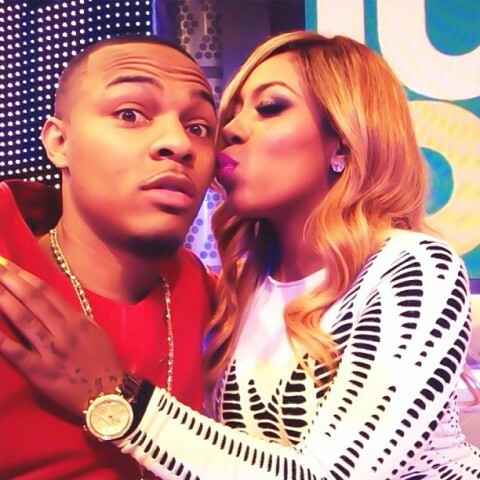 K Michelle confirmed that Chad ended up buying her a pet monkey for a different change of pace. Still, K Michelle insists that she would prefer to take things slow as opposed to rushing into anything. “I thought it was a sweet gesture,” K Michelle added. “And no, we have not slept together. I been through a lot with this dating thing. I spoke to Chad yesterday. We are friends and I think that’s what it needs to be. I think I hopped into something that I shouldn’t have hopped into so quickly last time [with J.R. Smith] and I feel like now I have to pace it.